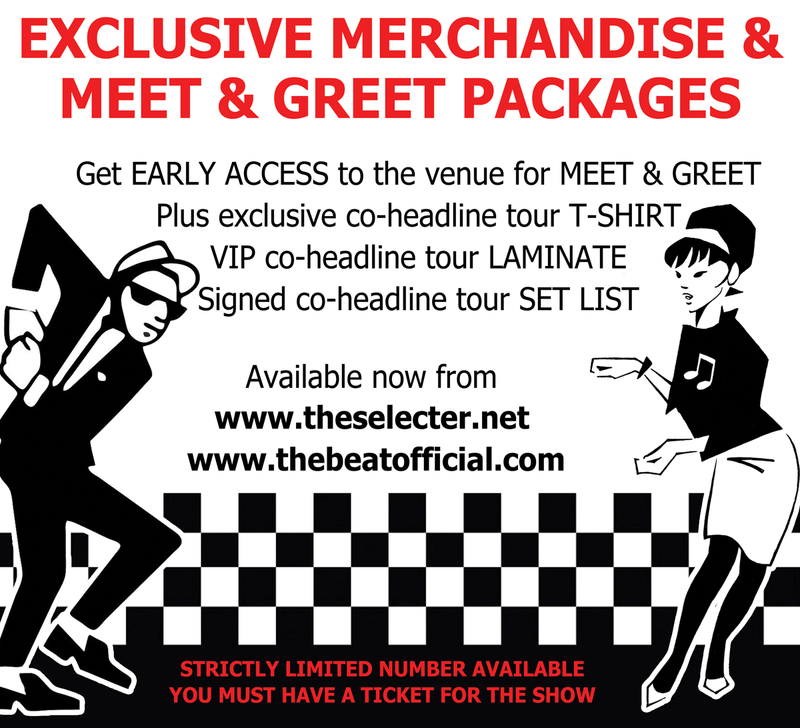 For those who already have tickets to the shows, a strictly limited number of exclusive packages are available to book NOW for each of our co-headline shows in the UK and Ireland with The Selecter. You will get early access to the venue, before doors open to all ticket holders, to meet members of the bands and collect your exclusive merchandise. EARLY ACCESS to the venue where you will be able to browse the merchandise, head to the bar or get your place down at the front.